Remarks James was born in Deming, New Mexico. White Hall (on what was formerly known as the Submarine Base, Pearl Harbor, Hawaii) was named in memory of Gunner's Mate First Class James White who was awarded the Bronze Star Medal for meritorious service as gun captain in TANG (SS-306) during a war patrol in enemy waters. Petty Officer White steadfastly manned his battle station throughout numerous attacks against enemy shipping, contributing to TANG's success in avoiding intense enemy countermeasures and in completing an extremely hazardous mission. 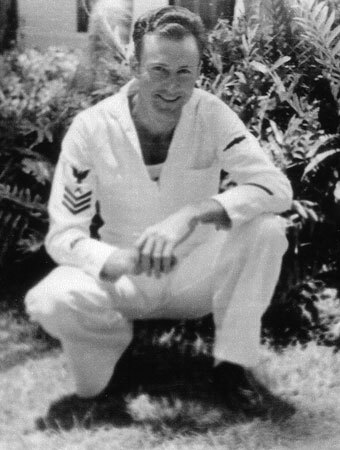 Petty Officer White was subsequently lost in action during TANG's fifth war patrol in the Formosa Strait. Photo courtesy of Steve Moore. Information courtesy of Paul W. Wittmer.